We are offering flawless and technically perfect range of laboratory microscopes that have high optical quality. Widely used in laboratories of colleges, schools and industrial houses etc, our range is comprised of high power compound microscopes that can be used for various minute studies. These laboratory microscopes are compact in design and can easily be operated for long duration. The Epi- Fluorescent attachment can be flexibly equipped with ordinary Microscope to be an Epi- Fluorescent Microscope. This JUPITER Fluorescent Microscope is used to detect bacteria and antigens, early diagnosis of cancer,venereal diseases, immune-less diagnosis,examination of botanical materials and the study of viruses etc. 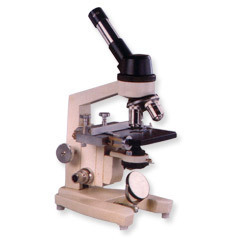 These microscopes are designed in accordance with the market requirements and are also widely demanded in the market. 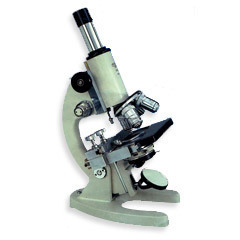 These microscopes have high magnifying power and are offered with various attachments. 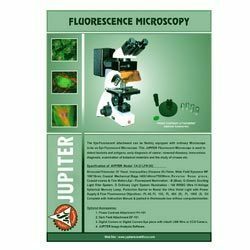 Promoted under the brand name Jupiter these microscopes are also light in weight and can easily be installed. 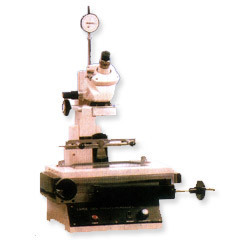 We produce tool makers microscope for tool making industry applications. This is an ideal measuring instrument for simplifying inspection and precision measurement of diameter, forming tools, gauges as well as template checking of thread and angles. We produce tool makers microscope for tool making industry applications. This is an ideal measuring instrument for simplifying inspection and precision measurement of diameter, forming tools, gauges as well as template checking of thread and angles. 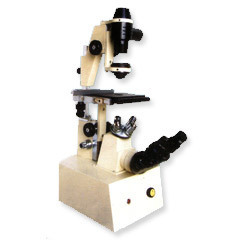 We design and manufacture inclined monocular microscope which is used in general labs for testing. These microscopes have high magnifying power and provide accurate results. These microscopes are widely demanded in the market and are also preferred for precise analysis. They have an observation head that can be inclined to 45° and rotated up to 360° and mechanical stage of 135 x 120 mm size. 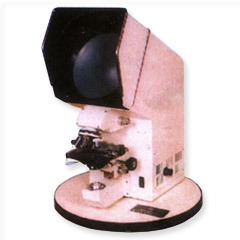 Used in general labs for testing, this microscope function through the optical theory of lenses in order to magnify the image generated by the passage of a wave through the sample. The waves used are either electromagnetic in optical microscopes or electron beams in electron microscopes. The laboratory and medical microscopes designed by us are used in general labs for testing purpose and in medical industry. Our high power education microscope are used to view the smallest object like fungus, cells, bacteria, and even blood samples. Engineered with high magnification power our microscopes are made with precise sophistication.